The temperature has really dropped here in London and I have been suffering with bad flu this past week. One thing I really noticed was my lips getting really dry and flaky (yuk!) and I kept thinking that I must get myself a lip scrub. Then I realised, why not make one myself! The ones they use in Lush are made with natural products so I figured it would be easy enough. Those are the basic ingredients, you can add more depending on what you want and I will tell you more about that. 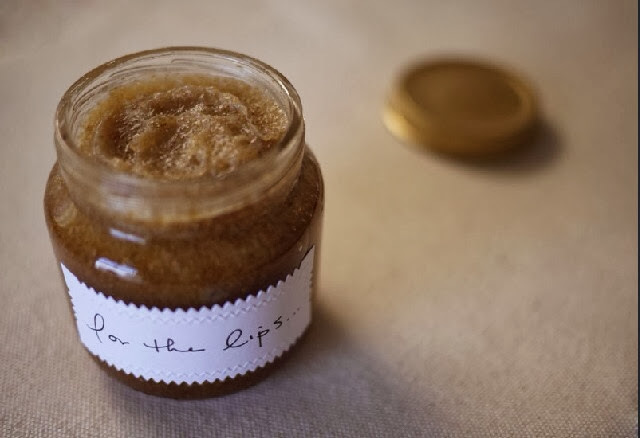 So if you take a little jar that you want to keep the lip scrub in and half fill it with sugar. 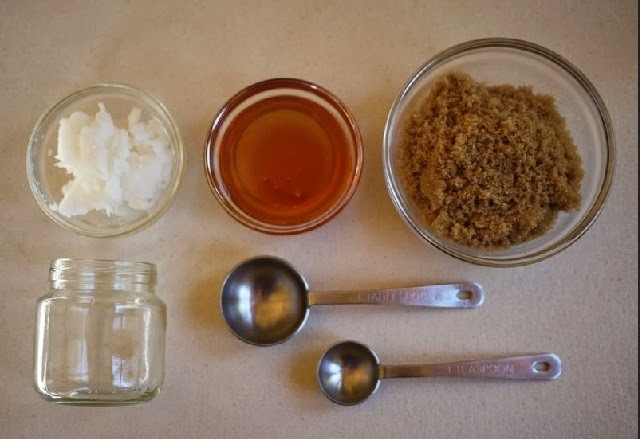 Using brown sugar will be slightly less harsh if you have sensitive skin. Then pour this into a mixing bowl. I just eyeball my ingredients so just work out roughly how much you think you need. Add about a large spoon full of coconut oil, a blob of honey and a spoonful of olive oil. Then mix it all together (you should then be able to tell whether you need more sugar (if it's too runny) or more oil (if it's too sugary) you do want it quite sugary to work though!) Don't mix it too much as it will mix the sugar into a syrupy substance. Then once you're happy with it, pop it into the fridge and it will last for roughly 2 weeks. When you go to use it you might want to leave it for about 2 minutes to soften slightly. When you go to use it, take a bit on your finger and rub it across your lips for a minute or so. Then take some water and splash it off. Then add some lip balm and you should have soft lips in no time! Alternative things you can do is add a little cinamon in to give it a bit of flavour or add some food colouring to make it pretty and colourful. You could also tie ribbons around the top of the jars and give them as gifts.